Buying organic flowers reduces the toxic load on the environment, the flower farmers, their families, and florists. Look for a certified organic label or the Veriflora certification seal and enjoy the sweet scent of this guilt-free pleasure. See our full list of organic flower suppliers below. When examining the pesticide use in the floral industry, it doesn’t come up smelling like roses. The floral industry is a heavy pesticide user. 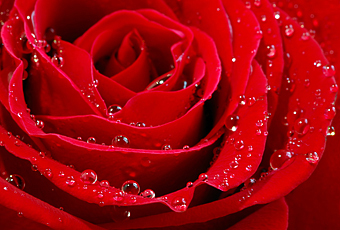 Roses may contain up to 50 times the amount of pesticides legally allowed in the food industry. This can be harmful to the environment, the flower farmers, their families, the florists and you. These chemicals also contaminate ground water and the soil and ultimately become part of the food chain. The chemicals evaporate into our atmosphere and can then end up in other places when it snows or rains. In addition, since flowers imported into the U.S. are not regulated for pesticide residues, they may be contaminated with pesticides such as the possible carcinogen paraquat and the neurotoxin chlorpyrifos. Buying organic flowers will reduce toxic chemical usage and exposure, conserve water, minimize damage to ecosystems and conserve biodiversity. The certified organic label will ensure that the flowers were grown without the most persistent pesticides and synthetic fertilizers, and without genetic engineering or ionizing radiation. Organic flower growers emphasize the use of renewable resources and conserving soil and water. The Veriflora certification signifies that your flowers came from an environmentally and socially responsible farmer. Pesticide and fertilizer use is restricted and the flowers are grown while conserving water, soil and the habitat. Farm workers are paid and treated fairly according to international, national and locally recognized standards. The biodynamic logo means the flowers are grown without the use of synthetic pesticides, fertilizers, genetic engineering, and animal by-products. Additionally, flowers may not be grown in areas subject to strong electromagnetic fields. In addition to the online resources listed below, don’t forget to shop locally. Nearby supermarkets like Trader Joe’s, Whole Foods Market, natural food co-ops and local farmer’s market are a good bet. Or get flowers by post for any occasion to make someone feel special. Companies that sell only organic, Veriflora-certified or biodynamic flowers are denoted in bold. This list will be updated periodically, but if you notice any errors or know of a company that belongs on this list, e-mail Green Promise at resource@greenpromise.com. Shop responsibly! Has a few fair trade bouquets and other fair trade-certified gifts. Direct from a family flower farm in Chico, California, these organically certified seasonal flowers are sure to please. Diamond Organic's organic flowers and organic bouquets are grown exclusively by America's organic flower farmers in California and Hawaii. Their organic flowers are said to be more fragrant and last much longer than the ones found at local florists or online. Ships some VeriFlora-certified flowers. These flowers may not be certified organic, but VeriFlora considers environmental concerns as well as community involvement, fair wages, and working conditions. Their flowers are grown organically in the Ka'ohe rainforest in Hawaii with respect for the earth. They are sustainably farmed and come with a dried leaf card that makes a thoughtful keepsake. Search for local organic flower farms. Just enter in your zip code. Ships organic and VeriFlora-certified flowers nationwide.